The CP Group, San Diego, CA and Impact Air, Leicester, UK, announce the formation of their exclusive partnership in the US, Canada and Mexico. The CP Group now includes in their systems Impact Air’s equipment whenever applicable. The CP Group engineers, manufactures and installs material recovery facilities internationally. 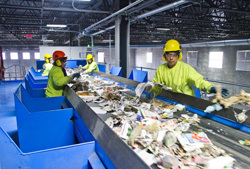 The CP Group offers a wide range of equipment for single stream recycling, waste to energy, construction and demolition, municipal solid waste, e-waste, and green waste sorting systems. Impact Air has developed and offers solutions to support fully automated material recovery systems. Their systems use air to convey dust and dry materials such as foil, film, and fractions of paper and plastic that can otherwise be very costly and difficult to remove from the material streams. The CP Group can now directly offer customers an increased product line including air systems solutions from one of the leading providers of this technology, Impact Air. Impact Air’s advanced Film Vac system consists of a series of specially designed material collection hoods which are usually mounted above the sorting belts and used to transport handpicked material, reducing labor costs and eliminating the need for transfer conveyors and additional storage bunkers. 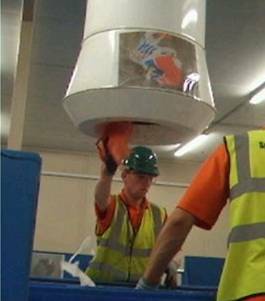 The Air Knife Separator by Impact Air removes low value “light” fractions from the material stream. The CP Group is proud to be able to offer these solutions to our customers. Impact Air’s recycling solutions are now represented in the North America exclusively by the CP Group, expanding their market, increasing their product visibility as well as sales. 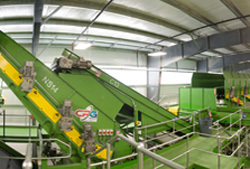 The CP Group is comprised of CP Manufacturing, Krause Manufacturing, MSS and IPS Balers. 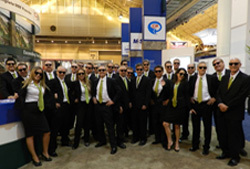 To get more info about the CP Group please visit www.theCPgrp.com. To get more info about Impact Air please visit www.impactair.co.uk.